Fresh and fresher! The Fuzzy Navel is a classic, relaxing summer drink to sip on your deck to take to your summer ending picnic. 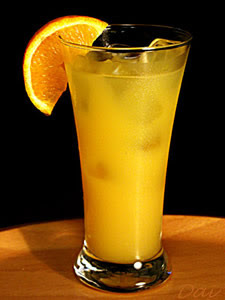 Combine vodka, schnapps and orange juice in a highball glass. Add ice, stir to combine. Garnish with an orange slice..